Art Teacher - so fun! I love it! Dub Ambrose!! Warren D Ambrose, III PHS '69! Dub and I have 4 great kids!!! Dub and I are still having a great life together! He's my "One and Only One" and it is with him that I prefer to spend my time! 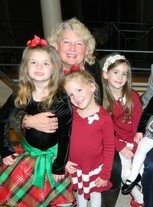 Now we have almost 6 grandchildren and they run a close 2nd! If you are a grandparent, you know what I mean - and if you are not - hopefully the Lord will bless you soon! It's the best and that's why it's called "Grand!" A great and grateful memory....Cynthia and I going to the Broadway Baptist -after the Football game - Oct 3, 1968! It's where the sparks started flying b/w Dub and me! And PSOP! The Backwards Dance! I took Norton! Good times with good friends such as Debbie, Norton, Cynthia, Pam, Johanna, etc, etc! My Mom at 90 is still doing great! she's still driving it, she's still teaching it, she's still preaching it! : ) She sends her love to all who remember her! I love teaching art and art history at Regent (a Classical Christian School)! I am so very grateful to the Lord for this great life that I don't deserve! I received the best gift in the world from PHS...my best friend, my husband! I love you all with the LOVE of Jesus.....unconditionally!!! no matter what, for all eternity! after all, "the Greatest of these is LOVE!" True love will never die! I'm still a Polyanna and a perpetual optimist! Inn of the Sixth Sense - you should see it! Netflicks! I'm everything I am - Because you love me! Peppermint with hot fudge! Yum! Venice! Once with Mom -once with Dub and the kids! Mendenhall Waterfall/Glacier, Alaska! with Dub and good friends! Have all my family in one place for at least an hour! - and not at my funeral...before it! Better yet - family gathering at a big log lodge where we can laugh, sing, play games and make banana boats by the campfire! Cathy Munson Ambrose has a birthday today. Cathy Munson Ambrose has left an In Memory comment for Nancy Reid Lawson. Cathy Munson Ambrose posted a message. Cherie, Thanks for not ripping open my blouse this time...thank the Lord you've matured! LOL! I'm still smiling! It was super! Thanks again to all who made it all possible! I love this pic of Shirley! 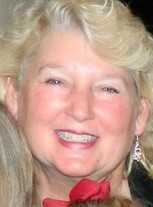 Cathy Munson Ambrose updated profile. View. Cathy Munson Ambrose changed "Now" picture.